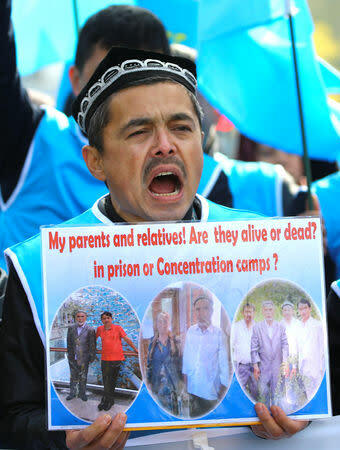 GENEVA (Reuters) - Western countries including France, Germany and the United States called on China on Tuesday to close down detention camps that activists say hold one million Uighurs and other Muslims. But China rejected Western criticism of suspected mass detention and heavy surveillance of Uighurs in the western region of Xinjiang, dismissing the allegations as "seriously far away from facts". "We will not accept the politically-driven accusations from a few countries that are fraught with biases and in total disregard of the facts," Le Yucheng, Chinese vice minister of foreign affairs who headed a 66-member delegation, told the United Nations Human Rights Council. 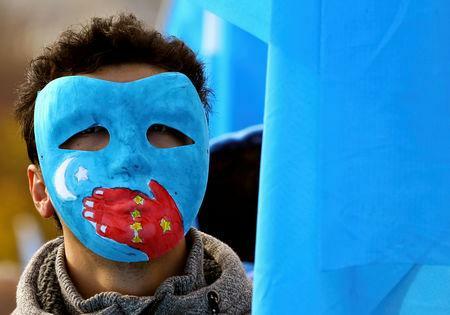 At a debate at the Geneva forum - which reports on alleged violations in each U.N. member state every five years and reviewed China's record on Tuesday - Beijing said it protected the freedoms of its 55 ethnic minorities. China has said that Xinjiang faces a threat from Islamist militants and separatists. It rejects all accusations of mistreatment and denies mass internment, although Chinese officials have said some citizens guilty of minor offences were being sent to vocational centres to work. Le, referring to Xinjiang, said: "Stability is most important, prevention should be put first...Setting up the training centres is a preventive measure to combat terrorism." "The extreme terrorism in Xinjiang was quite serious, seriously undermining stability and tranquility in the locality and aroused strong indignation from the people," said Yasheng Sidike, the Uighur mayor of the Xinjiang capital Urumqi. A U.N. panel of human rights experts said on Aug. 10 it had received many credible reports that one million ethnic Uighurs in China were being held in what resembles a "massive internment camp that is shrouded in secrecy." 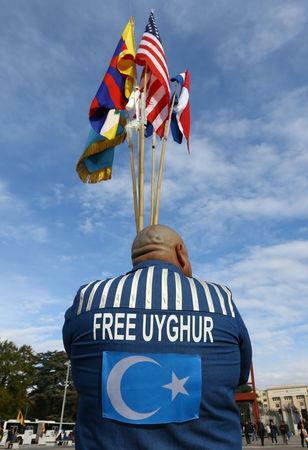 "We are alarmed by the government of China’s worsening crackdown on Uighurs, Kazakhs, and other Muslims in the Xinjiang Uighur Autonomous Region," U.S. charge d'affaires Mark Cassayre said. The United States urged China to "abolish all forms of arbitrary detention, including internment camps in Xinjiang, and immediately release the hundreds of thousands, possibly millions, of individuals detained in these camps", he said. China should release activists including Wang Quanzhang, Ilham Tohti and Huang Qi, Cassayre said. Up to 1,000 Tibetan and Uighur protesters from around Europe protested outside the U.N. headquarters in Geneva during Tuesday's debate. They carried signs saying "STOP China ethnic cleansing of Uighurs" and "Tibet dying, China lies".